So far the Fed's securities purchases have not had a material impact on bank reserve balances. As discussed earlier (see post) reserve balances will be the key indicator to watch in order to assess the level of monetary expansion. 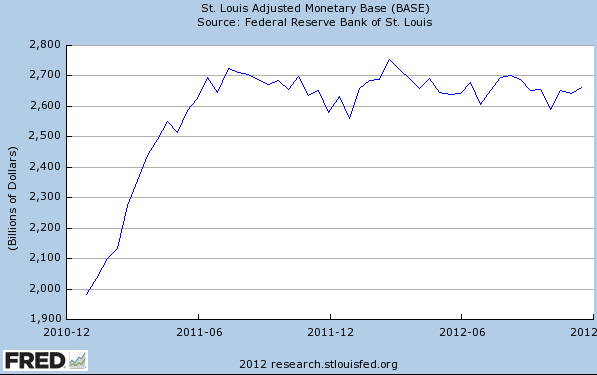 In fact the St. Louis Fed's measure of the US monetary base has not budged. 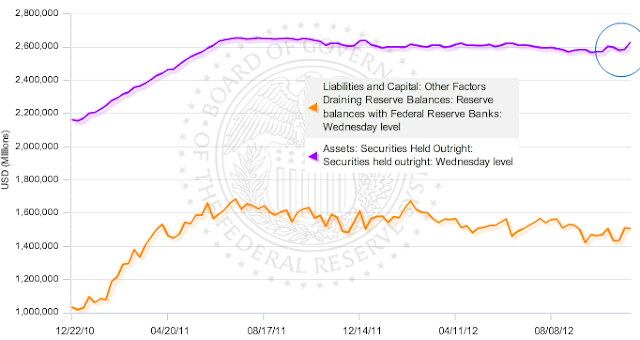 We are yet to see the rate of expansion we had witnessed during QE2 (left side of the chart below).